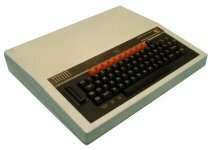 I had one of the bbc master systems, with a whopping 32k memory, crappy tape drive that never had the right volume, and a green screen. Didn't stop me an a schoolmate coding in a game that 2 players could play on the screen on the same keyboard. Ah, the memories! Acorn did attempt to sell the Beeb in the US. Despite positive mentions in magazines like Byte and COMPUTE!, it was a flop. The vast majority of American Beebs (with their completely redesigned motherboard) were sent back to Blighty to be converted to UK spec, making an unmodified US Beeb quite the collector's item now. 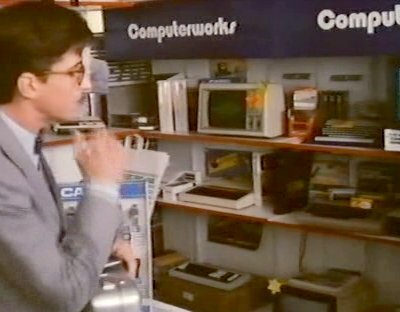 What computer does Miles buy? The computers listed here are ones shown in the store.